Looks like we're both lucky guys! The 2.8 WTB Trailblazer clears fine but it is a much narrower 2.8 tire than other brands like Schwalbe. The fork is not boost, and still clears a 2.8 Schwalbe Nobby Nic just fine, even with the mud fender. The eBay listing for this bike ends Saturday evening. Act now and get it for less here. have you ever ridden a monarch debonair? I am looking for a comparison between it and the evol-upgraded fox. Have you ever ridden a debonair monarch? 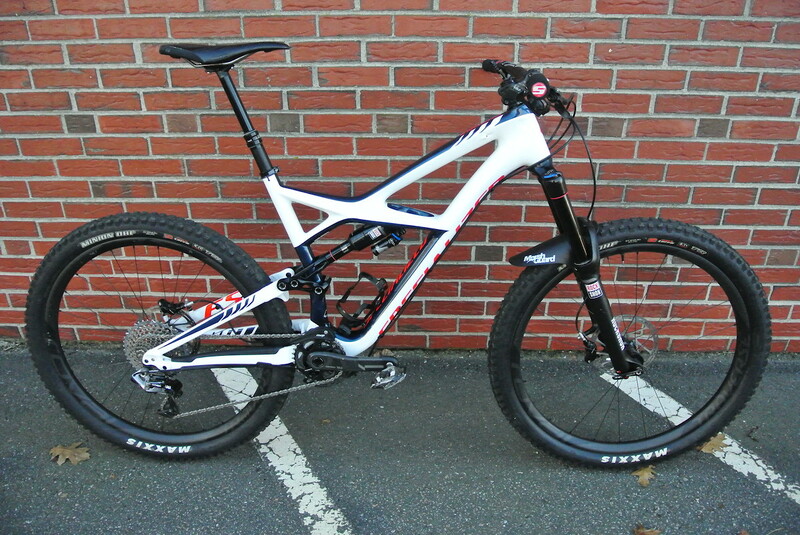 I am looking for a comparison between it to the evol-upgraded fox. It was great! It slackened out the bike just a little bit which made for a more stable, aggressive and fun ride.